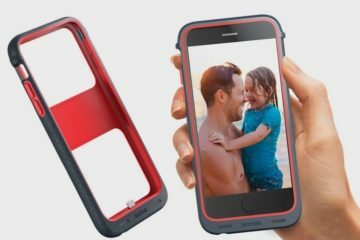 Remember when Prynt Pocket tried to sell itself as a photo-printing smartphone case? Yeah, there was no way anyone would use something as bulky as a case. 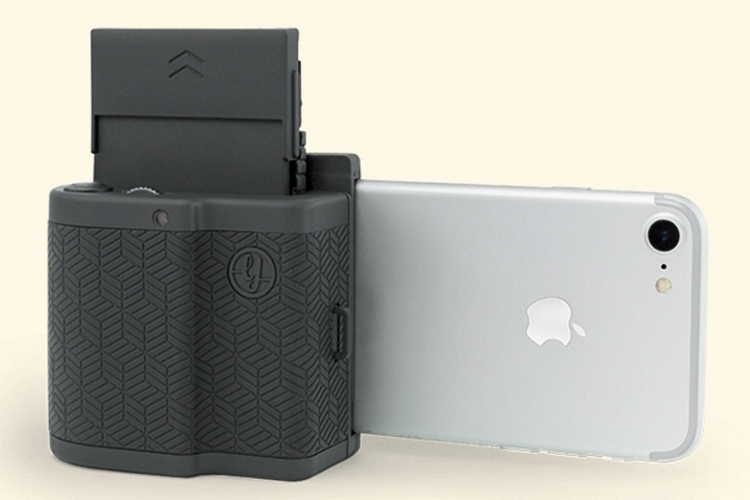 For the latest iteration of their product, the outfit is abandoning the whole “case” functionality and billing it as a compact printer for the iPhone instead. And, yes, we prefer it that way, too. 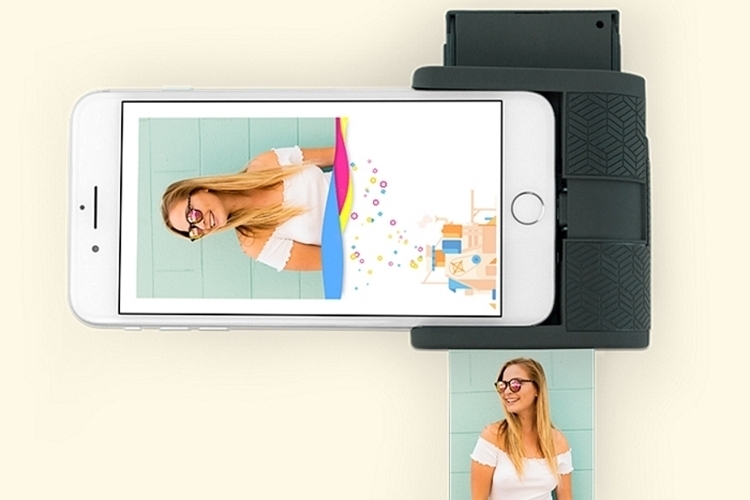 Like the original device, the printer attaches to the bottom half of your iPhone while you shoot pictures, so you can instantly print a photograph you like at any time. Unlike it, the device is now smaller and more compact (seriously, it’s almost half the size), making it a whole lot easier to use as a grip, although it’s still not quite small enough to be comfortable inside a jeans pocket. The Prynt Pocket works much like the original Prynt – you simply dock your phone on the case and wait for the companion app to launch. From there, you can instantly print any photo from your camera roll and social networks, as well as print any photo you shoot right after you take them. The app, by the way, comes with built-in filters that you can apply right before printing to give your pictures some extra flair. It also uses the same ZINK photo paper as before, which comes with a back layer that you can peel to use the photo as a sticker. 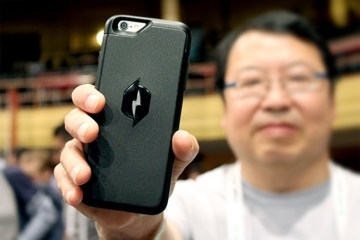 And, yes, it should work with any iPhone that has a Lightning port. Available in light gray, graphite, and mint green, the Prynt Pocket is priced at $149.99. Wow, things like this are really getting out of hand 🙂 A smartphone user has so many options when it comes to an instant print these days. 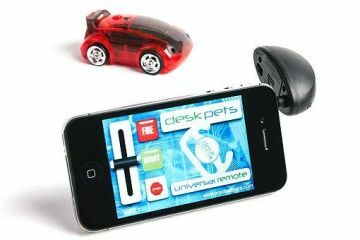 I don’t use an iPhone but I know someone who does and this would be the PERFECT gift for her! She is very much into taking pictures. This reminds me of those point and shoot cameras that allowed you to print them tony pics as a sticker. I had one in the 90’s I think it was. This is like that but only better. The price is not bad at all too. 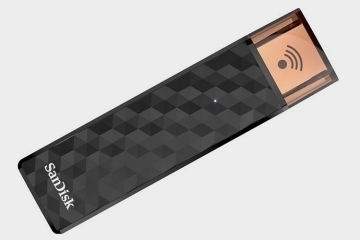 Is this a gimmicky product? Yes. Is this a necessity? No. With that being said, I’d love to own one of these. I would love using this, and my wife would enjoy it with making all her arts and crafts stuff. I won’t buy one though. The reason is I would have to remove my protective case. The only time I remove my Otterbox from my iPhone is when I clean it. 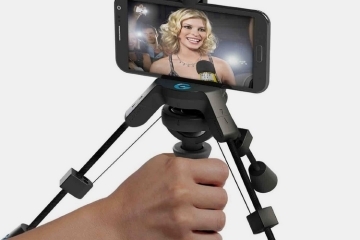 This is a problem that most iPhone accessories have. Want to use a clip-on lens? You got to remove your Otterbox. If they would simply make things that worked with the Otterbox and other similar thicker case phone cases, then I would buy a whole swath of random lenses and add-ons. I refuse to though because I am not going to pay close to $1,000 for my phone and then drop it when I am trying to use a clip-on lens. The Print Pocket iPhone printer is a great idea, but if I can’t protect my phone while using an accessory then I simply won’t use the accessory. The conundrum of the Prynt Pocket is that it seems directed toward an audience that desires printed pictures. Individuals who favor long lasting memories in print form tend to be the older crowd, wanting the option to capture experiences to be displayed in a photo album. Unfortunately, the younger generation seems content with posting and broadcasting their selfies onto their social media pages (Twitter, Instagram, Facebook). 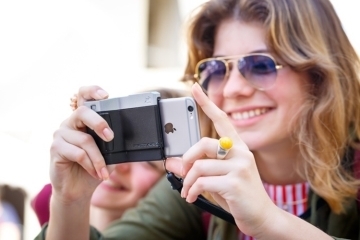 The issue is that those who take the most pictures will be less likely to want to print when they have the option of immediate gratification by sharing it with their friends and family. Moreover, the adults who snap pictures to place in their photo albums will be met with a plethora of issues: one size dimension of printed photos, scale fit into the photo will shrink illustrious details, etc. The Research and Development for Prynt Pocket seems to have alienated the wrong generation in addition to only making this product available for the iPhone crowd. Double whammy. I completely agree with you Nick. I honestly don’t think Prynt Pocket is ever going to win this one no matter how they present the idea. Yes, some young people like me do like to print photos, but solely for the purpose of putting them into frames for our homes. This one size only while distorting the quality of the photo simply is not going to work for that. Even if older people do want something like this, there are other options that don’t take away from the quality of the photo at all. 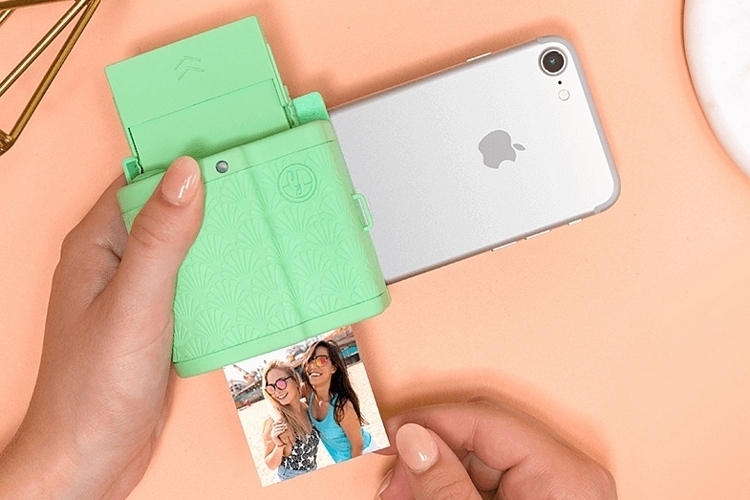 HP, Poloroid and Cannon all make small photo printers that would literally fit anywhere in the home. Plus, with the older generation moving into iPhones – even a small photo photo printers will start losing their purpose. Apple iPrint literally makes it two clicks away to print photo or document as long as you’re on the same wireless network.